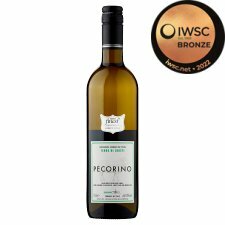 Coltivated in the rugged, mountainous Abruzzo region on the Adriatic coastline, Pecorino is a ripe and refreshing wine with hints of peach and apricot. perfect chilled, it pairs well with grilled fish, roast chicken or crunchy salads. Deliciously fresh and floral, with grapefruit, juicy peach and herbal zing. Refreshing and zesty, with a mouth-watering, flavourful finish.